We have analysed in this article impact of Social Media on education sector while also empathizing with professors on their resistance to use of it in classroom. We will then look at few classic real classroom examples of how teachers, students and administrators are harnessing social media to create a better learning environment and reforming public education. 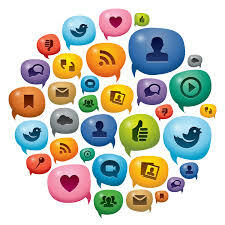 Social media is often seen as the key driver of communications and marketing. If we talk about the education, colleges, universities and schools are striving hard to build a good social presence. Students want to get a feel of what institution is really like from their Facebook page. That is why every educational institute needs to be seen in "The Great College Search" on internet. So presently, professors are using Social Media to maximize student alumni engagement, enrollments and increasing media outreach. Education industry that bears responsibility to prepare children for the world of tomorrow, itself is not ready to embrace digital revolution with an open mind. We are not talking about number of machines lying in your computer lab or iPads in classroom. We are talking about motivation behind having these machines - digital education in true sense. Let's open up our vision from seeing social media as just another distraction to seeing it as an opportunity to build a more meaningful education system for teachers and students. If you are a professors, let us take you back to your previous days when you were a student. Learning in schools was about daily lectures on various subjects and topics; and students using their textbooks as their only source of knowledge. You had no Google or any social media website such as Twitter, YouTube and Wikipedia etc. to help if you did not understand a lesson given by the class teacher. The only alternate to a school teacher was home tutions but that used to take away precious hours from time we could have put in things we truly loved, like music, playing football, dancing and doing things which every kid or teenager wants to do in this age. Is this a learning background why today, many of us as professors are resistant to Social Media also failing to adapt to new ways of education. The students of the Internet generation don't have the same constraints we had back then. As professors, one of best pieces of advice you can give to students regarding use of social media is to "think" before they post. Give them confidence to review their privacy settings. If they post anything they later regret; they should express regret to recipient and offer to make amends. It is quite similar to how parents tell their children how they should behave in public. What is the most important instrument of any learner? It's the power to ask questions. These questions are born from real life experiences - when students apply the acquired knowledge in their daily lives. Using social media as an expression medium is one of the steps that we as professors need to take. The future of education is in helping children experience wonder, curiosity and joy through playful learning. 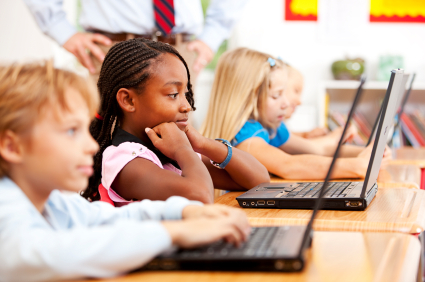 The students of today are big communicators through social media, emails and instant messaging. They are more connected to outside world than how much we were at their age. If they have a question today, they will not wait for another day to go to school and ask teacher. They will access the information on their Smartphone in a matter of few seconds. No matter where student lives, h/she has access to best teachers of world. Social Media has bridged the gap between students and highest quality study material they need for learning. If you are among those institutions that do not allow use of Instagram, Facebook, Twitter etc in the classroom, here is a reality check. The moment, students of your institution step out of your institution premise, they are exposed to a much more stimulating learning experience than what they had in your brick and mortar location. So irrespective of whether or not you as an institution are ready to embrace the new digital ways of teaching, the revolution is already happening. If professorss are left behind on social media, they will also fail in the simple role of being cultivators of curiosity. A modern school needs to be a lot more than brick and mortar of studies. The unique advantage of being ‘source' of education is gone. Quality or Quantity of educational content can no longer be benchmark of quality of education for a school; high quality educational content everywhere on the Internet. For example - it's no more the responsibility of school to make a student memorize birthday of Martin Luther King. This information is everywhere on the Internet. A student can get this information using Google on Smartphone in a matter of seconds. The role of teachers comes into play when there is something that a student cannot find and understand using mobile device in less than 2 minutes. Thus, role of school has shifted from being the source of knowledge to the validator & applier of knowledge. Do you know that a lecture that you think will be good for the whole class might actually be useful to only 20% of the class. The new generation teachers need to have access to the data about where the students are having problems in understanding the lectures. Teachers also need to know their own areas of improvement. The classroom experience for the students needs to be made more targeted. Teenager's Internet Use Promote Negative Effect On Academic.